Joinery is a section of carpentry which involves putting pieces of timber together. Those who specialise in the practice are known as joiners. They use various methods to build structures such as doors, cabinets, and windows. Some of the methods they use include the use of adhesives and binding. If you are looking for a carpenter to help you with your joinery needs, the most important thing to look for is experience. They have had plenty of time to learn about the various aspects of the job and they are likely to produce better results than inexperienced carpenters. Carpenters can help you with your outdoor decking project. If you have an entertainment area in your home, you may consider adding a deck to improve its appearance and the market value of your home. A deck gives you and your family extra space to relax and enjoy the sun. When you need to get this job done, find a carpenter who has done the job before. They should be able to provide you with a high-quality deck that meets the needs of your family. Some carpenters specialise in the making of cabinets. If you think your kitchen needs a makeover, these are the right carpenters to contact. They can update your cabinets and give your kitchen a fresh look. Attempting to do your cabinetry work without the help of a carpenter can be a problem especially if you are not familiar with the tools. 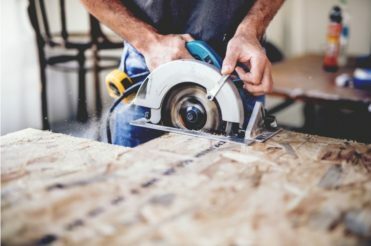 If you have fixtures that need repairs at home, find a carpenter with some experience in woodwork. They may help you fix broken arms, crooked legs, faulty shelves, and more. You may also use their services for restyling old furniture and up styling fixtures in your home. Carpenters help with plenty of jobs around the home. They may also give you advice when you are shopping for furniture. If you need the help of a carpenter in Dublin, Ireland, and the surrounding areas, consider contacting A D Woodcraft. We offer custom furniture and carpentry services at affordable rates. A D Woodcraft is an established company which prioritises good quality and customer satisfaction over everything else. You can contact us on 00 353 85127 0371.